or what is known in feature-film development as a ‘controlling idea’. This inspires a show’s moral framework, the subtextual message that drives the show. Once you’ve had some initial thoughts about a project, take the time to identify its overarching theme. Often this is implicit in the show’s premise. 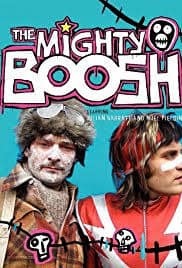 For example, the controlling idea of Kath and Kim, ‘Love of family ain’t much but it’s all we’ve got’ is a message we draw from watching a dysfunctional family coping with their troubles. 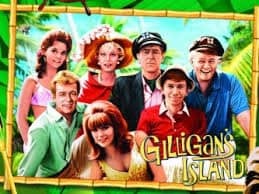 For Gilligan’s Island, a show where seven castaways wait for rescue on a deserted isle, the theme is ‘We survive together or perish alone’. 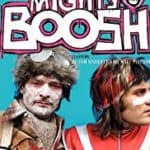 The theme of absurdist series The Mighty Boosh boils down to ‘Friendship is all’. All these themes contain an implicit grain of hope, but at heart they are serious and concern universal human issues. A light theme, such as ‘Happy is as happy does’, is not necessary for humour to thrive. The TV series Kingswood Country deals with racism, sexism and cultural wars. The show’s main character, Ted Bullpit, faces isolation in every episode and the theme is that tolerance unites us while intolerance divides us. Many a serious political speech has been made on the same topic—yet the show is a comedy classic. A TV show represents months or years of work, so you need to say something to the world that’s important to you. There is a difference, however, between ‘serious’ and ‘dark’. A cynical theme like ‘Dishonesty works’, ‘Greed is good’ or ‘A life without love is a life without hassles’ presents three problems for the writer. The other two reasons are practical. Entertaining permutations on a cynical theme quickly run dry. For example, if ‘Dishonesty works’ is your theme, once your hero has been laid and become rich and comfortable, what else is there to do but teach him a moral lesson? 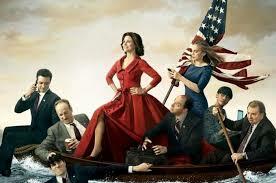 Satires may depict their central characters winning the day through deceit, selfishness, heartlessness and villainy (see Veep or Yes, Minister), but they are generally hollow victories. Satire’s themes tend to be grim and rarely deliver hope their worlds can be lastingly fixed. 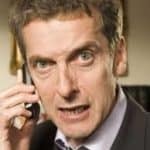 The political series, The Thick Of It, Utopia and The Games each feature central characters who have clear moral and common sense, though they may achieve their aims through cunning and manipulation. 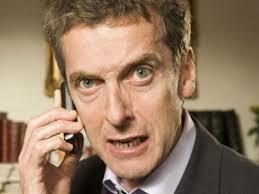 These three characters -‘Malcolm Tucker’, ‘Tony’ and ‘John Clark’ spend much of their time complaining about the idiocy, self-centredness and waste they regularly confront. But their insights fall on deaf ears. No matter what befalls them, the other characters can’t say they weren’t warned. What positive qualities they may have are due to the extent that they thwart an even greater evil. Even the darkest satire has a moral rudder, using stories of dire treachery to highlight the shortcomings of our world rather than celebrating treachery itself. A satire’s message might simply be ‘The evils of this world are intractable’, but even this message implies the ideal of a better and fairer society, impossible though it may be. The dismal daily horrors depicted in The Fall and Rise of Reginald Perrin simply underline the idea that the world would be a happier place if people were less ignorant, self-centred and petty. 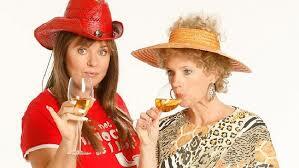 Third, viewers are turned off by cynicism because ultimately it is unrewarding. They will simply find your show too depressing. The characters in your show, on the other hand, can be cynical—it’s just the controlling idea that cannot. Even the exquisitely painful The Office has a benign, if cautionary, theme: ‘Be honest with yourself’. 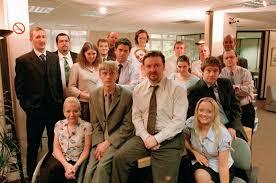 The antagonist, David Brent, must learn to face his inadequacies or he will never discover his strengths. The protagonist, Tim, must embrace his ambition and act on his potential or lose Dawn, the love of his life, and spend his remaining days in lonely torpor. You’ll find richer soil for your episode ideas if your theme is more than an attack on the world you’ve chosen to explore. The theme of The Larry Sanders Show boils down to more than ‘Network television is populated by arseholes’, though that message is clear throughout. By series end, Larry Sanders learns a grander, more challenging lesson: ‘To thine own self be true’. And throughout the series we’re on Larry’s side, even though he’s a selfish and scheming celebrity. We don’t engage with his faults, but with how he acts in his world. Your controlling idea might be in the form of a question. The theme of The Nanny is ‘Do we deserve true love even though we are flawed?’ The answer is subjective. To respond in the affirmative we must forgive Fran Drescher’s nanny character all her faults. To find a satisfying controlling idea, ask yourself what you are most curious about. The notion that writers should only write about what they know is misleading. Even in constructing a textbook the writer does more than jot down what they know on the first day. Writing is an act of exploration. Without learning as you go, the act of writing would be deathly dull—and the reading even worse. People write autobiographies because they want to make sense of their lives, not because they know everything that happened and what it means. Questions, not answers, keep us awake at night. So, what do you wonder about most? Love? Death? Identity? The true value of success? Be sure the theme, like the show’s premise, is something you want to explore—otherwise you could waste years working on something you don’t care about. And that is no laughing matter.